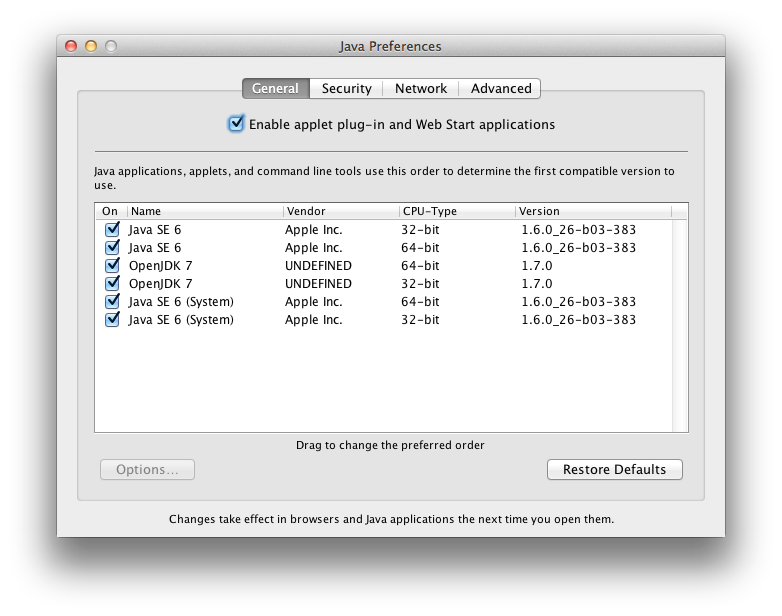 Mac OS X shipped with 2 versions of JVM - 32 bit and 64 bit accordingly. 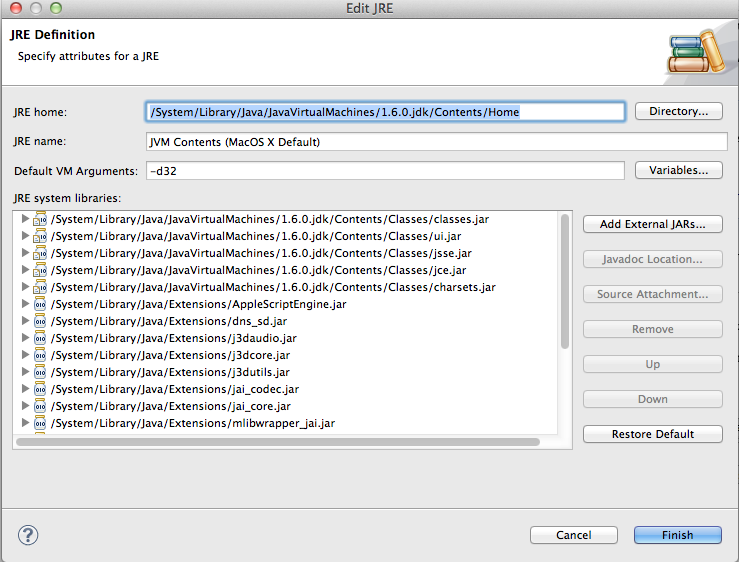 So, First I tried to change order of JVM preference from /Application/Utilities/Java Preferences but it didn't work. 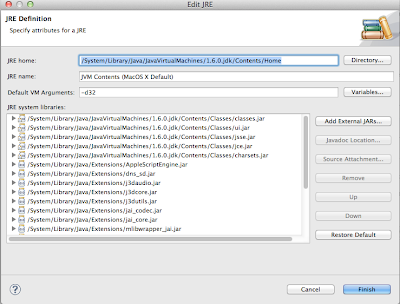 This command forces to use 32bit JVM. Happy coding!